Modular units in different sizes and configurations with patented coupling system, BV approved. 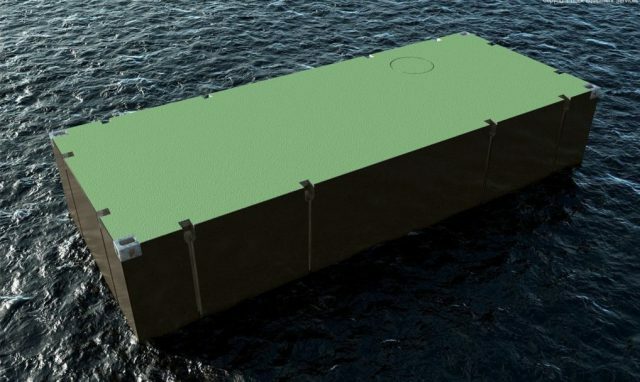 This modular unit is a multifunctional road transportable modular pontoon system. Main dimensions are based on TEU and FEU (containers) and the unit standard comes with container corner castings making transport cheap and easy both by road and sea. The corner castings also allow the units to be stacked and secured with twistlocks, even when afloat and when additional buoyancy is required. The unit standard comes in three different types (S, M and U), and two different lengths (20 ft. and 40 ft.). The depth is variable from 800 [mm] to 2896 [mm]. Variations outside this range is possible upon request. The unit types are based on load variations and minimum quantity of couplings. 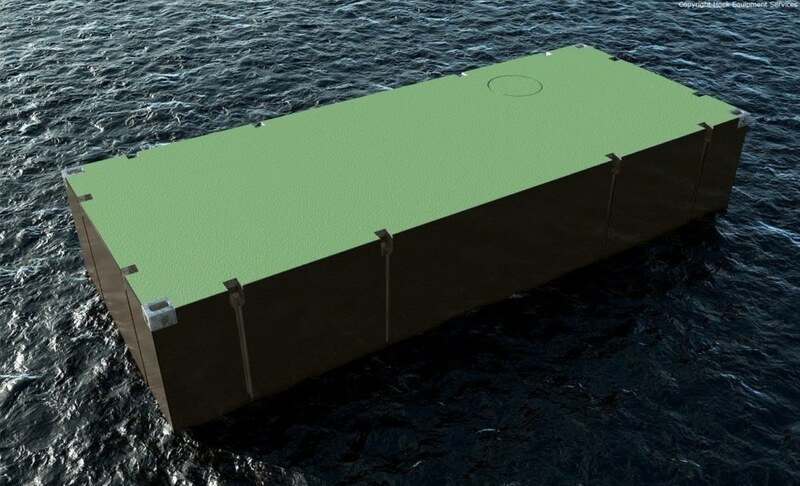 Type S is suitable for deck loads up to 5 [t/m²] and deployment in sheltered areas and inland waters. Type M is suitable for loads up to 10 [t/m²] and deployment in coastal areas. Type U is suitable for loads up to 15 [t/m²] and deployment offshore and as jack-up. Coupling with the patented couplings is simple and safe and can be done both afloat and ashore. The minimum quantity of couplings depends on the required load, however two units should have at least two couplings. The patented coupling system is based on mounting from the deck. The coupling system consists of a single unit which can be easily stored. The system ensures water tightness, structural integrity and adjustability. The coupling positions are such that all the types of modular units can be coupled without adjustments.